If the way a month starts is anything to go by, December will be FANTASTIC month!! On the morning of the 1st of December, Fair Life Africa kids received a wonderful surprise! 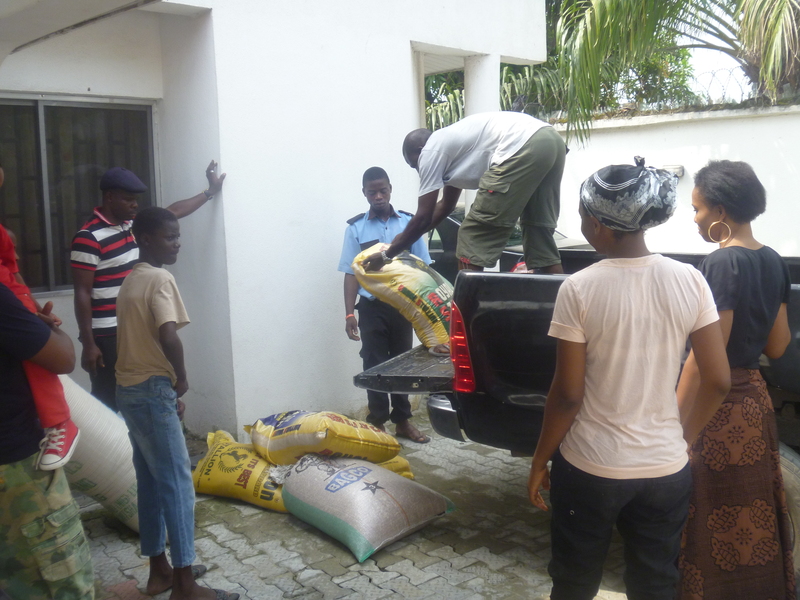 No, it wasn’t Father Christmas… It was humble Mrs Emerhor, coming to share provisions with the Home. She came unannounced and left with minimal fuss, perhaps not realising how greatly appreciated she was. We just want to say thank you Ma, for remembering us and encouraging us with your concern and care. God bless you! We were invited to a simple ceremony held at the Ovie Brume Foundation’s Day Centre in Victoria Island, Lagos. 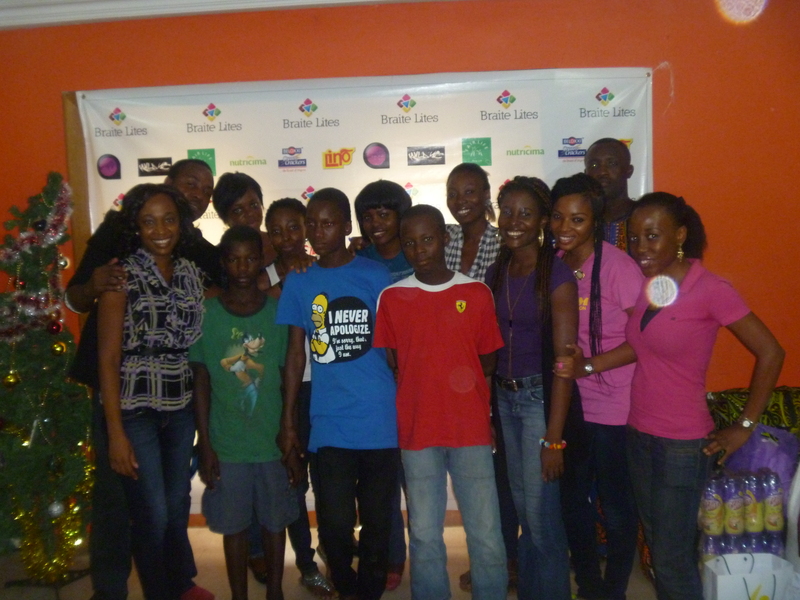 Tosin Bucknor was there to support and chair the event, and officiated the handover of provisions for Fair Life Africa. Our very own Jrhythm, aka Toju Ashogbon, sang his popular song ‘Don’t Judge Me’ to a wowing audience, as his lyrics spoke a truth, and encouraged all to believe in themselves. Ufuoma gave a short appreciation speech, and explained Fair Life Africa’s vision, and the objectives of the CCC Initiative. Thanks to the whole Braite Lites team!! Fair Life Africa Foundation is truly grateful for the support. We also wish the Braite Lites more successful initiatives, which will impact society for the better. Previous Post November’s MBP – Wish You Were Here! !